God’s Word constantly encourages and teaches us to pray. Our Father in Heaven delights in our prayers. Our prayers can move His Hand to open doors and accomplish the impossible. One of the most powerful ways you can help us reach the Bibleless people of the world is to join us in prayer! Pray thanking our Almighty God for all His blessings upon Bibles for Bibleless. Pray that God blesses, and leads our leadership with His wisdom and vision. Pray that God blesses all our Bible donors and sponsors. 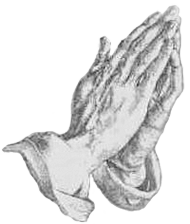 Pray that God blesses all the churches and ministries that support us. Pray that God blesses us with the resources needed to print and distribute Bibles. Pray that God opens doors and provides the resources to help Bibleless people. Pray that God enables us to distribute Bibles in Hospitals and health care facilities. Pray that God enables us to distribute Bibles in jails and correctional facilities. Pray that God enables more people to participate with us in sharing, promoting and propagating the Word of God.